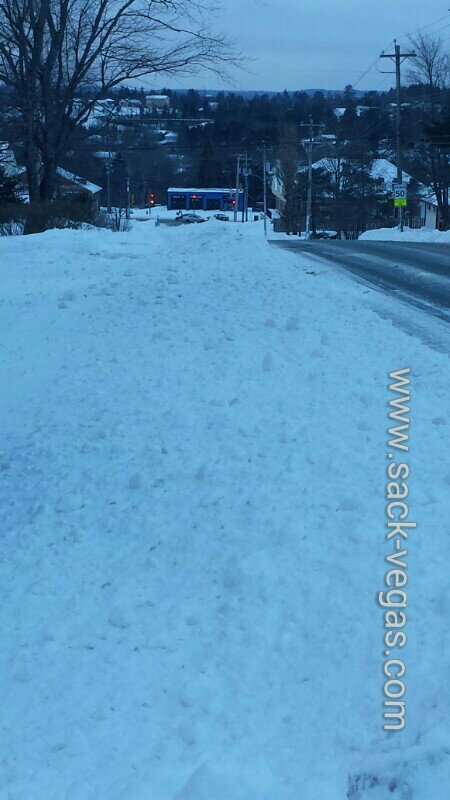 Hot Topic: School Zone Sidewalks..Er..Lack Of Them This A.M. (Pics) | Sack-Vegas!!!! There is a lot of chatter going on this morning about uncleared sidewalks and kids having to walk on the snowy/semi snowy streets. 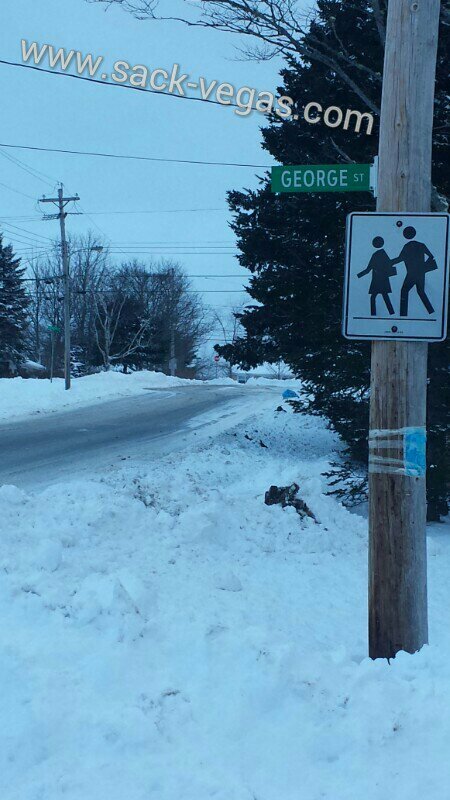 This is the scene right now on Pinehill Drive in Sackville and yes, there is a sidewalk under the snow. This street is not in bad shape compared to the ones branching off from it. I think having all sidewalks cleared at this time is a tough task after the blowy mess we had last night. I did see a school employee helping some of the little ones around the crosswalk area. I guess my question is should the schools have been opened if the kids had to walk on snowy streets? Should have been closed!! Big mistake HRSB!